Lexdray have been working on their version of the ultimate camera backpack for quite awhile now. It?s been through multiple iterations with feedback and advice from various known photographers. With so many different types of gear and such a variety of sizes to cater to, the design process has been challenging; but they?ve finally come up with a system to meet any photographers needs. 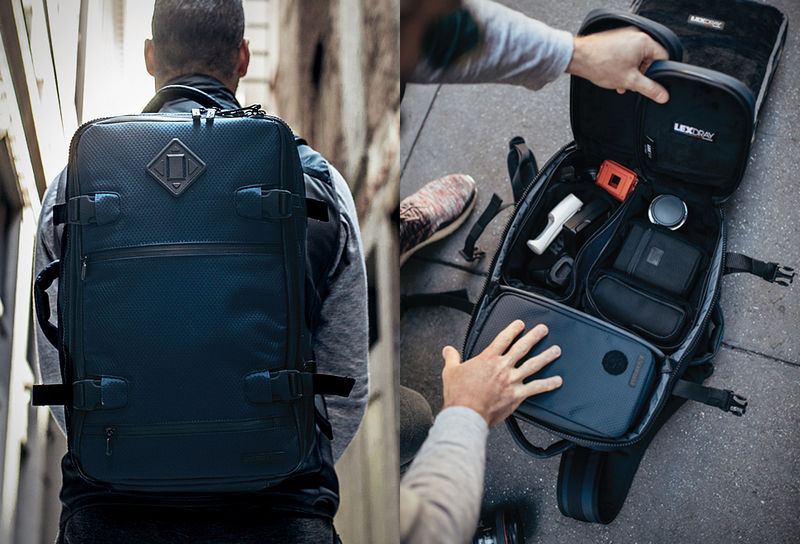 The San Francisco Camera Pack features a modular framework that allows you to customize the space around your camera. The pack ships with one removable Monterey Camera Insert in the main compartment, but can neatly fit three (additional Inserts sold separately). The water-repellent pack also features durable shoulder straps, plus two handles so it can be carried vertically or horizontally, and a removable waist strap.